Today, 2 April 2019, I decided to start a post and try to find an answer to a question that interests many- What is the Mavic 2 Zoom? It is an unmanned aerial vehicle, drone or quadcopter for filming and shooting good enough footage and pics from the sky. I am a complete beginner in drone flying and filming so it will be the story from ground level. I am determined to learn and succeed in pleasing myself and others with good footages from the sky. I wanted to buy a quadcopter a long time ago, but I didn’t want to buy fake because I have a bad experience with cheap Chinese electronics. I realized that a good drone price was starting at $1K. Fortunately, I had this opportunity, and now I am the happy owner of DJI Mavic 2 Zoom. I will try to create this post or series of posts so that I will learn myself and try to help other beginners with my growing experience and mistakes I made. It’s no secret that in time I might be such a seasoned drone pilot that I can think about making some money by filming and photographing from the air. I also understand that there is still a long way to go because there are many such offers although the drone filming service prices are relatively high. I’ll start from the beginning. I bought DJI Mavic 2 ZOOM for about two weeks back, that is, about mid-March. I do not want to write about unpacking and other unnecessary similar things, that anyone can easily find on YouTube. Even though, I could make one conclusion before I went on, which I would have done a little differently when I was buying a drone. Surely at least another additional battery is needed. There is only one in the standard set, but when purchased separately, its price is relatively high. I recommend buying starting set with at least one extra battery, then surely it will come out cheaper, but? Exploring offers on Amazon, there are often things that I wouldn’t even buy. Though that may be just my current thoughts, for example, at present, I would hardly buy propeller guards who are almost ever attached as an additional accessory. So, I decided to buy additional accessories depending on the need, but with one battery there is too little because it is a real inconvenience. I think that must have accessories are a car charger and a specially designed carrying case. Over time, this list will probably add up. That was a bit of purchase and accessories. Now about whether I’m satisfied with this new fascination? In one short answer, to all one hundred percent. Have I learned something in these two weeks? If we look from a zero point, then I guess I’ve learned something. We’re all learning a lot from our mistakes, and I’ve had such a relatively painful mistake on the second day. Quadcopter landed on a slanted roof of the house and slipped into the rain gutter. The propellers continued to turn for about five seconds until they stopped. As a result, two damaged propellers and, fortunately, no other damage. I haven’t fully immersed myself in the details of this incident, but I think the non-horizontal position didn’t allow the engines to stop at once. So, my suggestion, never landing a drone on a slanted roof, the outcome can be relatively painful. Fortunately, even the standard set comes with a couple of extra propellers that I replaced and also purchased spare ones priced only around $12. Here is another tip for the Micro SD memory card. Ask the salesperson or explore the description or the memory card corresponds to 4K filming. Don’t fall into the temptation to buy a 128GB cheap but inadequate speed card. I almost did it, but fortunately was a knowledgeable salesman and offered a 64GB micro SD card at about the same price. How much have I learned from flying experience? You can view the numbers in the screenshot. 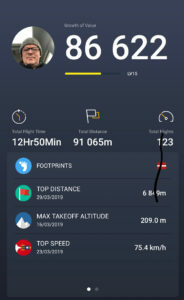 Although there’s a mistake, I’ve never flown 209 meters high, maybe close to 100 meters has been. Another tip, don’t risk with a distance when flying over the water. I had flown over the high seas to film the ship about 3.5 km and ignored RTH (return to home) warning and continue to film the vessel as battery indicates another 40% charge. When I returned and landed, it was just 5%. So, I think one or two minutes later, and my drone would have fallen into the sea because there was no place to land. These last few minutes were scary. Always take into account the wind and possible gusts. So far, it’s a bit of a beginning in the experience of flying and filming my drone. You can look at my few YouTube channel jobs. I know it’s far from perfect, but I’m only at the very beginning of the road. As I promised, I continue my story and also my slightly growing experience of using DJI Mavic 2 Zoom drone. My list of accessories is beginning to grow. It is a car charger, Mavic 2 carrying case and the main one is DJI Mavic 2 Intelligent Flight Battery. I know I’ll have to buy at least another additional battery later, but it’s not so bad at the moment either, because I always have the car next to me and I can charge from the car charger while I’m using the other battery. I may have mentioned that I am not going to go into technical data and different ways of flying, but I guess some words have to be said. It may be mostly for those who are still thinking about buying such an apparatus. 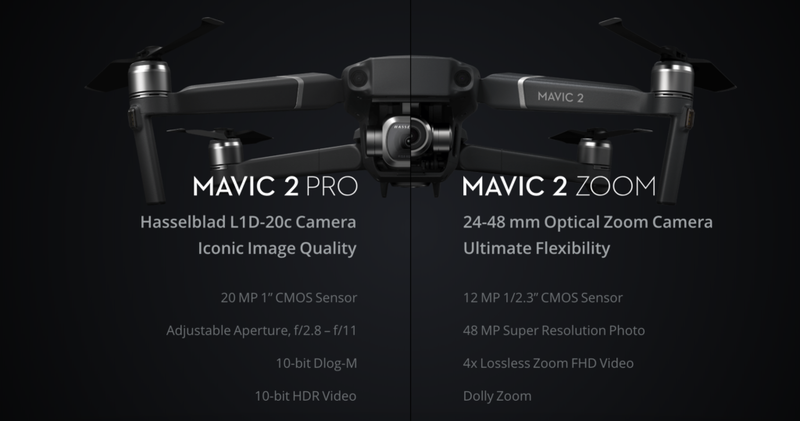 So, what is the Mavic 2 Zoom drone? Here are the main characteristics of the Amazon description. Detailed specs you can read here. Many who have been interested in buying such quadcopter may have little confused over the choice — either the Pro or Zoom version. I’ll be honest because I would have bought Pro too, but for financial reasons, I stayed with the choice of Mavic 2 Zoom. The price difference is about $200. 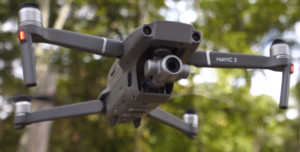 The only difference between these two DJI great drones is the different cameras.Mavic 2 Pro is equipped with the Swedish brand Hasselblad camera. Just a couple of words about this brand name. It makes very expensive photo cameras used by even NASA astronauts. There is no doubt that the quality of the photo and video footage should be higher with Pro than with Zoom camera. It must be, but does it really make such a difference from the view of an ordinary person? I believe that it is not always the number of pixels or the right lighting is the main one with which photos or videos are valuable. Though I suppose the photo and video professionals might object here to me. Anyway, at least at the moment, I am happy with my choice for Zoom. As far as I know, the DJI Mavic 2 Zoom camera is the only one with optical zoom to film with 4K. It matters to me because I’m primarily going to film ships relatively far from shore. Sometimes it is on a maximum flight distance of 3 to 5 km or about 3 miles. Depending mainly on the direction and strength of the wind, sometimes I have to fly back to the home point before draining out the battery over the sea. With zoom options, I can do additional filming or photo shoots for a few minutes, and the flight will not be unnecessary. I have read that Mavic 3 will combine both Hasselblad and Zoom capabilities. Then we’ll see, but for now, I need to learn a lot and learn what I have to know to buy the next flying photo and film assistant based on my experience. Watch my latest video I made next to my job place. Luckily I got permission to fly in NFZ (no flight zone)subject to all local rules. Previous Previous post: Trail Tech Voyager Pro the Best GPS for Off-Road Trails. Thanks for the update on what a Mavic 2 zoom is. The tips you also provided about flying it with caution too, was also useful and helpful. I’ll love to know if this drone can be used by any levels of user, is it recommended to beginners or an expert in drone filming of flying? Thank Salim for the comment. I thought it was a beginner because I had to start from scratch. If honestly, then DJI Mavic 2 is not a simple toy but a relatively complicated apparatus. I still have to learn a lot, but it’s just a matter of time and will. Hi there. Thanks to you for writing this great article about the drone Mavic 2 Zoom. To be honest, I love this experience of yours with the drone, I can’t wait for the next post lol. Maybe I’ll just have to get myself one of this drone because I love them. But did you fix the propellers all by yourself? Hi Alex and thanks for stopping by. There is no problem with replacing propellers, it only takes a couple of minutes. 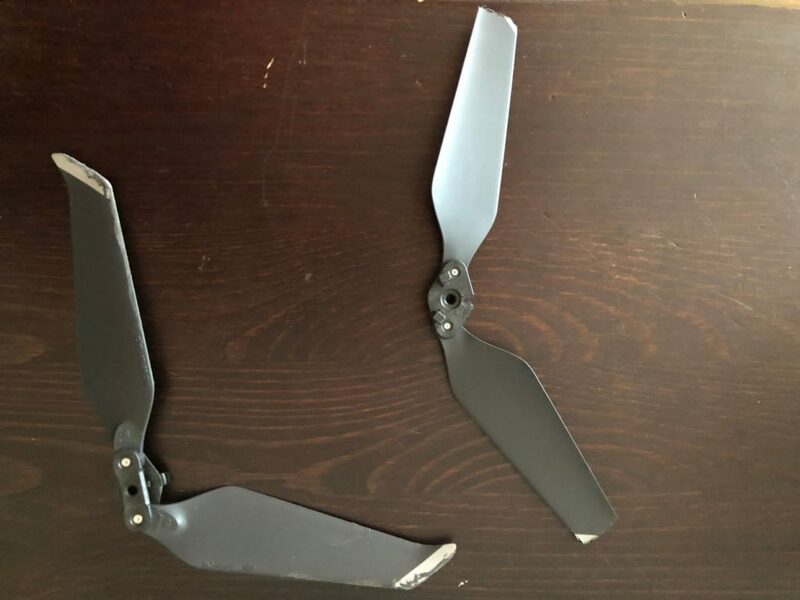 The drone can fly even with damaged propeller may be flying, but it’s better to keep it OK. I’ve read that DJI Mavic 2 Zoom can even fly only by three propellers. Thanks for taking time for comment. You’re right. I need to learn a lot, but nothing valuable in life comes without work and knowledge. I’ve always wanted a drone, and I’m thinking of getting one for event coverage purposes and the Mavic 2 zoom looks super slick! Like an advanced robot look, would love to have that in my arsenal. I was surprised though when your drone had 40% battery but 5% left when landing, how long does it take for the battery to deplete that fast? Thanks, Riaz to read my post. In fact, I was a little bit mistaken for that 5 %. I later looked at screen recording and was 15% left. The distance was about 3.5 km when the drone started on the road to home point and about 15 knots counter-wind. Wind direction and speed must always be taken into account. Reading your informative review I learned a lot about DJI Mavic 2 ZOOM. This is undoubtedly a blessing of modern technology. I believe that it is possible to earn a lot of money by filming and photographing through the drone. I like to be the owner of a quadcopter like this. Your tips will be of great help about how to use, what to focus on when buying it. By the way, if the rain suddenly falls while flying Mavic 2 ZOOM in the sky, what will happen? Thank you sincerely for the wonderful interesting reviews. Thanks for reading my article. This drone, as a most non-specialized quadcopter, isn’t water-resistant. It is not recommended to fly specifically in the rain, mist or snow. Though if you fly home immediately after the rain starts, I think there will be nothing tragic about Mavic 2. I got into that situation a few times, but the rain wasn’t strong, and the drone was in it for about a minute. I am still flying. Hey! Thanks for sharing your experience on magic 2 zoom, this is really great. I really appreciate you taking time and breaking it all down for us. I would love to revisit for more articles like this. Again, thanks for building this website and investing time. It’s a great site. Thanks, Musbau. Flying and filming from the air is really a fascinating hobby. I like it more and more, and maybe I can earn something with time. Hi, I was actually interested in a Mavic 2 zoom drone, my brother has been considering one so I wanted to buy it as a gift for his birthday. He’s not very familiar to drones, though – this was the first one he would get. Do you think it’s hard for a beginner to get used to it? I mean, does it take more than 2-3 days to start controlling it well and everything? Also, are there any chances that you damage it if you’re not very used to controlling it? Thanks. Thanks for stopping by Ashley. DJI Mavic 2 Zoom or Mavic 2 Pro drone is good for advanced drone pilots, and for beginners, IMO, I was the same. Mavic 2 has beginner mode and 2-3 days could be enough to learn how to fly in this mode. To learn all the possibilities, I think it would take at least 2-3 months. The apparatus is relatively durable, and just by snagging on branches, the only thing that could be damaged by it is propellers, but it is easy to replace and not expensive around $12 for a pair. The use of drones in the photography is becoming more rampant and might even threaten the conventional way of taking pictures, which requires direct human handling. My brother was just telling me how that a drone went from place to place taking pictures at a wedding that he recently attended. I think that is cool, I also thinK that DJI Mavic 2 ZOOM is also cool, judging from your detailed article on it. Wow wow wow! I found myself over and over again as I watched the drone footage of the ship leaving port. You did a great job with that. If that is not good than I don’t know what great is. Glad you got by those first two couple of scares with the drone. There is a learning curve in everything I guess. Good thing you survived to fly another day! Thanks for the tips and the great footage. Thanks, Ceddy for the kind word. I think it’s always worth trying to do jobs better. Drone’s pilot skills take time, but improving the quality of the video needs more knowledge. I’m learning one and the other. Hello; Your post is somewhat helpful to me as a beginner. It is always good when we are buying something to buy the quality instead of fearing the price. The excellent condition will compensate for the high cost. Some Drone Battery life is longer than some others. Depending on your mission having more than one fully charged Battery is a wise choice. I must say that the pic you have included with the ship on the water is a great job accomplished by a beginner as you called yourself. Your next aerial pic will no doubt go viral. Thanks for stopping by. You are right, and I’ve already figured out a little. For example, it is advisable not to use white balance auto mode. I was used either cloudy or sunny preset in my last footage and I think the outcome is better. I have benefited greatly from reading your article and you also said about drone and you shared the experience of buying your drone with us.I think that the things you shared will be helpful for everyone .Your article is an awareness post that will be helpful.Thank you very much for sharing your experience . Thank you. I hope, with time, my experience will grow, and I will continue to share it. Thank you for your interest and time for your comment. 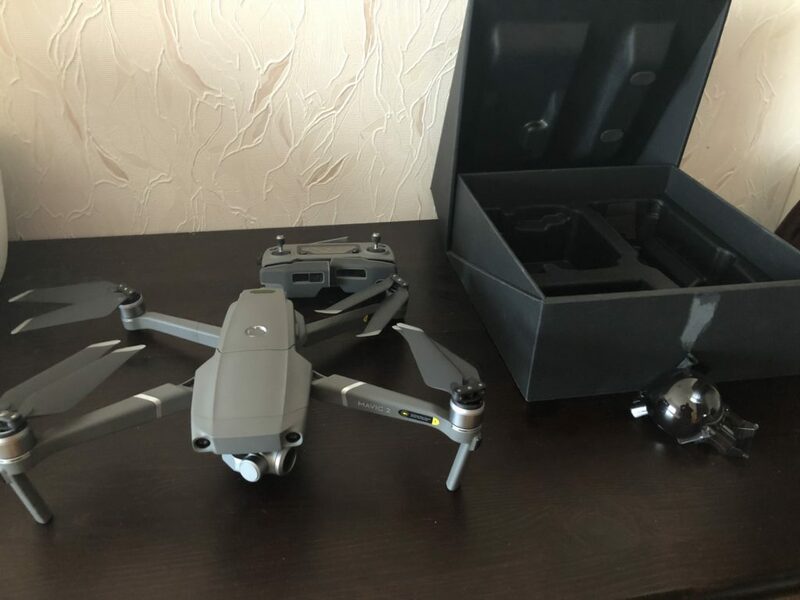 The Internet is full of various types of information about DJI Mavic 2 drones. Since I’m still learning, it’s sometimes difficult for me to distinguish between what is valid but what is a waste of time. I will only try to focus on my personal experience in this post. Thanks for a great review about this drone. Thanks also for the tips on flying this drone and the difference between the two models. I am impressed by the Hasselblad camera on the Pro model. Seriously, Hasselblad?!? This must be a very professional brand taking very high-quality images. My question is, would you suggest these models for a novice? If not, which ones would you suggest and why? Thanks, Marios for the comment. I think DJI Mavic 2 can probably be a drone for beginners too. I was like that, and I am still in the process of learning to fly and film. Mavic 2 Pro camera is a bit from Hasselblad, but it’s far from the real brand. More like a value-raising trick.